Google+ is one of the popular social networking site that is growing fast irrespective of its debut. Earlier when it was introduced around mid 2011, many of us would have thought how could it come along with all the other famous social networking sites. Google announced that they reached 10 million users within a couple of weeks time at the trial phase. I never minded it as a main system for blogging. I never thought it would create an impact on marketing this good. Like everyone else, I created an account there and just left it unnoticed, honestly I never made an effort to get knowing about it. Later on, I found the importance of having a profile on Google + that could help grow our business in an efficient way. Running a blog successfully, is not a piece of cake. It includes a bit of ridges and furrows. Only updating your blog often will not help you to get noticed by people. It will only help you get listed on the top search engine's list. But, when you need many readers to actually read your post frequently, you have to promote your posts through various medias and anything that would help others to know about your blog. Recently, Google+ seems to be a glittering tool for SMB's and bloggers to run their business. Promoting a blog post or any business page is very easy with the Google+ network. Once you decide to spent some time learning the functions of this network, you'll find it easy to get through it. In this post, I will help you with some tips that could be a great deal for marketing your blog with G+. Read it through to know the things that you could make use of to publicize your blog with Google+. As you have been promoting your business through most of the social networks, you may know that a neat professional account will always do the thing for you. Whenever you do publish a post, remember that if you have author of the blog linked to Google+ profile will provide you priority to other authors. When you do marketing with Google+, professionally a strong tech bio that suits your niche will do the thing for you. When people read your posts and then may read your profile to know your credibility. The Bio should be exactly related to the niche you blog at. Actually people on Google+ are mostly business professionals and SMB's and bloggers., They would love to Add you to their Circles only when you have a strong bio that portrays your work. I guess it is not that difficult to create a decent bio for your business profile on Google+ than to write a blog post. Google+ allows you to create a business page as like Facebook. Mostly the probloggers share their posts on their personal profile that makes them a business pro. If you may not want to share it on your profile, you can create a business page for your blog to share it to your circles and the public. 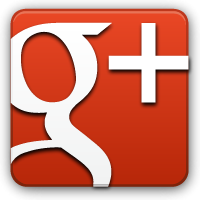 The Google+ provides you a special functionality to share your posts and thoughts with the people you want. It is a Social Network after all and it allows you to use the circles in your way. You can add people to your circles. First of all, create seperate circles for family, friends, business etc.. You might not want to share your business with anyone who feel disturbing. But the truth is when you share a post public to all including your circles, even there is a chance of others who are not in your circle would view and click on your post. Sharing isn't a crime though. You may ask people to share it with their circles. Google+, Gmail, Google search etc.. are the products of Google. Whether you have noticed it or not, when you share a post from your blog, it'll ask whom to share with and when you select the people in your specific circle, it also sends a notification mail to get their attention that you've share something with them. It'll increase the number of people who view your post and visit your blog if they like it. And it is also a benefit when on the search, Google prioritizes the posts on a particular topic with the G+ profiles linked on it. All you have to do is when you do a blog post, link your G+ profile as the blog author. Inside of Google+, there are hundreds of thousands of communities that will help you gather more to your circles. Join the communities on your niche and interact with the people inside. It is a great opportunity to make you and your blog go famous among the crowd. Use the keyword Categories in Google+ that will recommend you to follow your niche categories and also will help you to know more people. Search for categories with # and interact with the people and publicize your blog. Marketing your blog with Google+ is not a big work. It's just a matter of time to invest in frequently to interact with the people of your kind. When you do get a crowd who listens to your posts, it all comes to sharing frequently. Sharing is not a tough work as you can share through your blog page or you may use sharing tools. Please speak your mind if you have any other useful tips on marketing with Google+ through the comments. Thanks for this idea, new idea about business is most common in youth, which try to do some different with their unique idea and thought and they are called entrepreneurs.